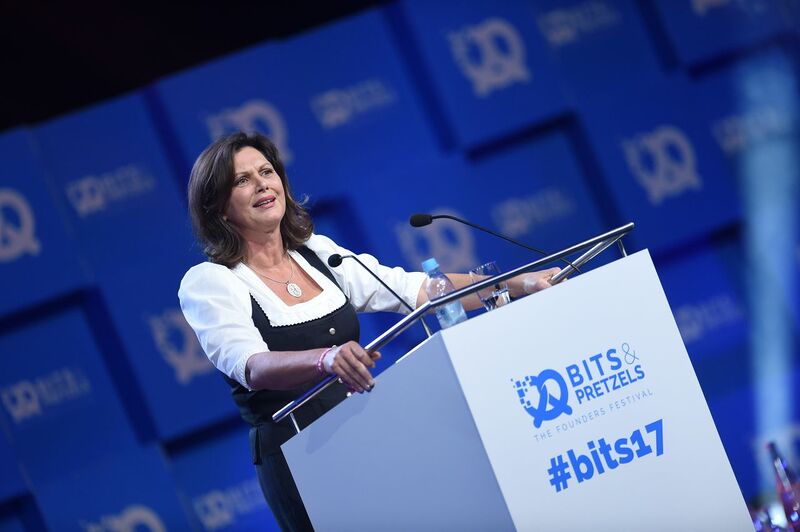 The two themes of failure and defeat characterized the opening speeches at the 2017 Bits & Pretzels. 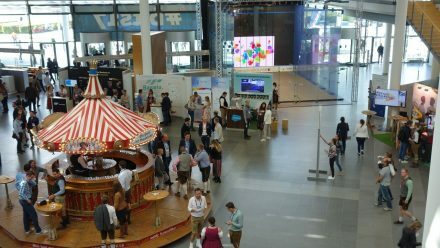 Special guest Stefan Raab and the startup festival’s hosts opened up about the detours they have had to take. The self-proclaimed König Lustig (King of Funny) interlaced his stories with old jingles he had composed at the beginning of his career for local stores, companies and sausage spread. Raab also added tongue-in-cheek that the real world is exactly the opposite of how the three-day Bits & Pretzels conference functions: at the Munich startup festival, everyone works two-thirds of the time (Sunday and Monday) and gets drunk during the remaining third (Tuesday in the Schottenhamel Tent), but it’s the other way around in real life. The legendary goalkeeper Oliver Kahn also made an appearance on Sunday: Kahn presented his startup Goalplay and called for companies to have “operational balls;” Philipp Lahm is set to follow tomorrow with his investment project Fanmiles. Last year, Kevin Spacey performed the role played by Raab this year and inaugurated Bits & Pretzels with his speech. The Hollywood star returned to the founders festival this year, but in a new role: Spacey led a round table with Rolf Schrömgens and Lukasz Gadowski, the founders of Trivago and Delivery Hero. Just before it was time to call it a night, the most surprising news of the day was shared: Kevin Spacey is getting on board as the fourth Bits & Pretzels host! Which Bits & Pretzels tasks he will take on specifically has not been revealed yet. Click here to read our account of the second day at Bits & Pretzels.